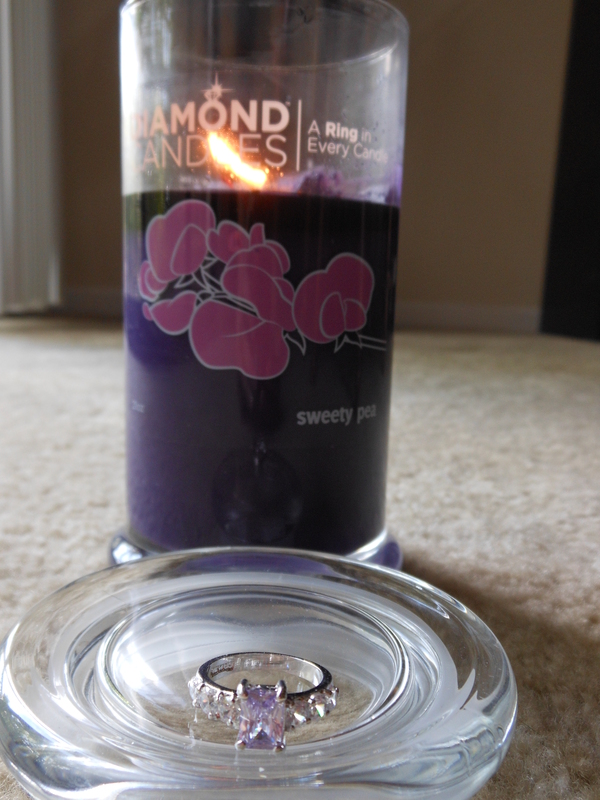 A Diamond Candle for My Birthday! After raving about how awesome Diamond Candles are and after so many people around me getting one but me, I was wishing and hoping for one for my birthday after dropping some pretty serious and blatant hints. I had actually figured out my husband had gotten me one when he accidentally shared the code for your friends to get $5 off when you purchase one. Oops! 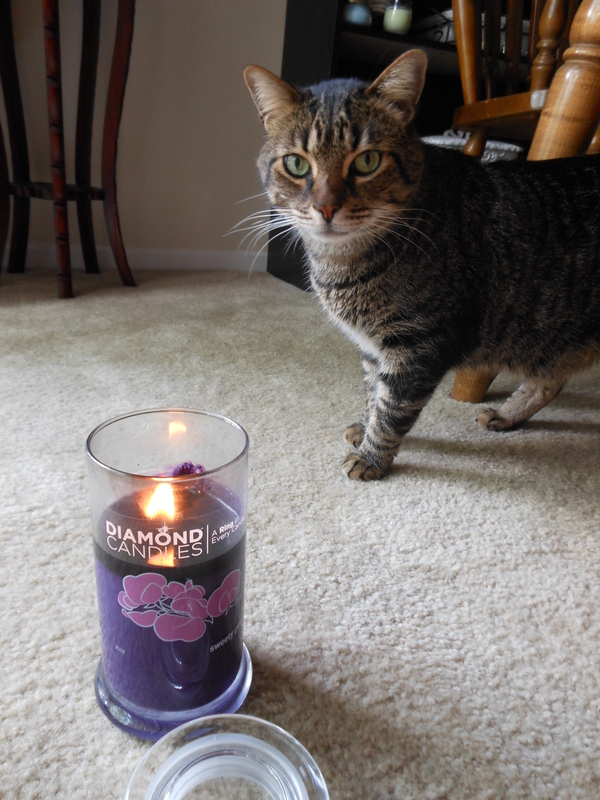 So when the box came, he opened it and hid the candle from me. Even though I knew it was coming I didn’t know the scent and wasn’t going to ruin it for myself. So after midnight last night (or early this morning?) I asked if I could finally have it. I closed my eyes and he brought it over for me to smell. It wasn’t what I expected. He got the Sweety Pea fragrance, which doesn’t smell like your traditional Bath and Body Works Sweet pea because they added violet and berries. It makes for an interesting scent. To me, it almost smells like a candy version of grape almost. Of course I was excited to get my ring and tried to wait very patiently. It didn’t take too long for the wax to burn down to where to ring was. I did dig at it a little but that’s because the wax pool wasn’t burning evenly and was driving me crazy! After recently learning about candles, I just had to get an even wax pool! I ended up getting it out this afternoon after the majority of the foil unveiled itself! 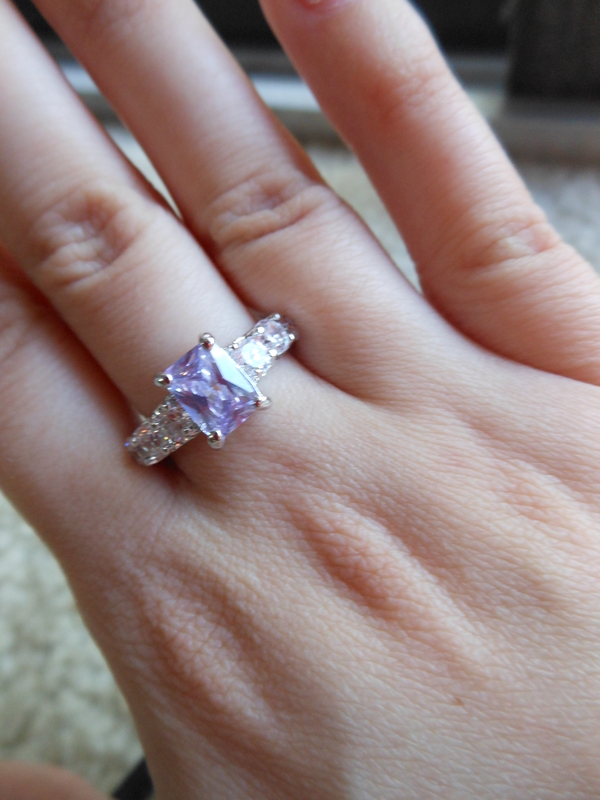 The ring is pretty but too big for my finger, which is a huge disappointment. It’s one I would totally wear! Oo what an interesting and sentimental idea – very romantic! Thank you! Yeah, the ring is just an inch or so down. Pretty!!! 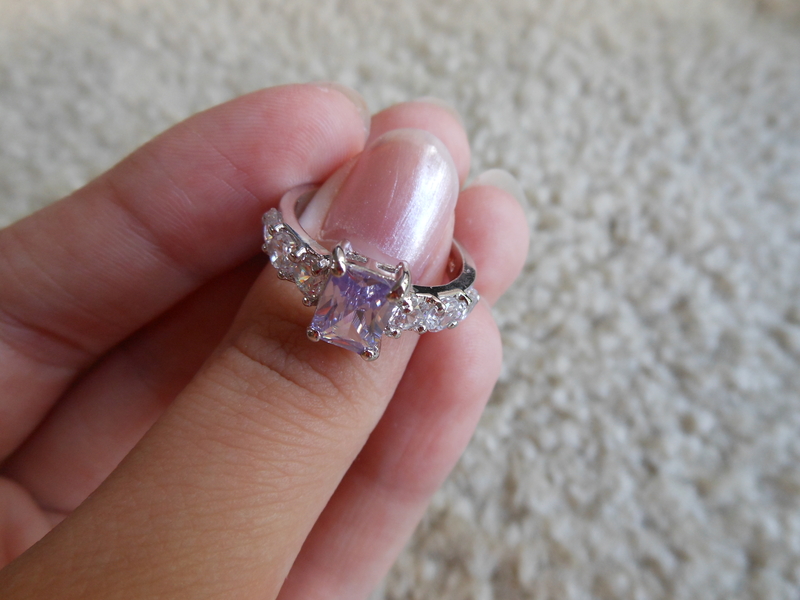 Couldn’t you get it resized? It’s a gorgeous color! Hi courtney! Thanks for following! I’m not sure if I can get it sized (it says made in china. lol!) but I would be willing to check that out. It’s too gorgeous not to wear! Didn’t realize that! =D Thanks for visiting my blog.